Place names in Enaclete and the surrounding area, mapped by Finlay and Kenny Maciver. They did Geshader too and you may like to compare the Ordnance Survey map. I am fascinated by maps and placenames, and am wondering whether other areas in Uig will have names of their localities mapped out in this way. It is an excellent idea to produce maps with `local` place names as many of those Gaelic place names are very descriptive and relate to day to day activities over centuries. I am sure that someone in each village would willingly undertake the task of mapping out the areas around the village and thereby retain part of the Uig Heritage. There are several publications that cover local place names and we have collected the small unpublished names from many of the villages – ongoing. We had an application in for funding to publish them in booklets but got knocked back so we’re looking at other options. I also have a splendid large map of Viking names of Uig, thanks to Angus Macdonald, which will be appearing here when I manage to get it scanned. Has the map, Viking names of Uig been scanned? If it has been scanned how can one view it? 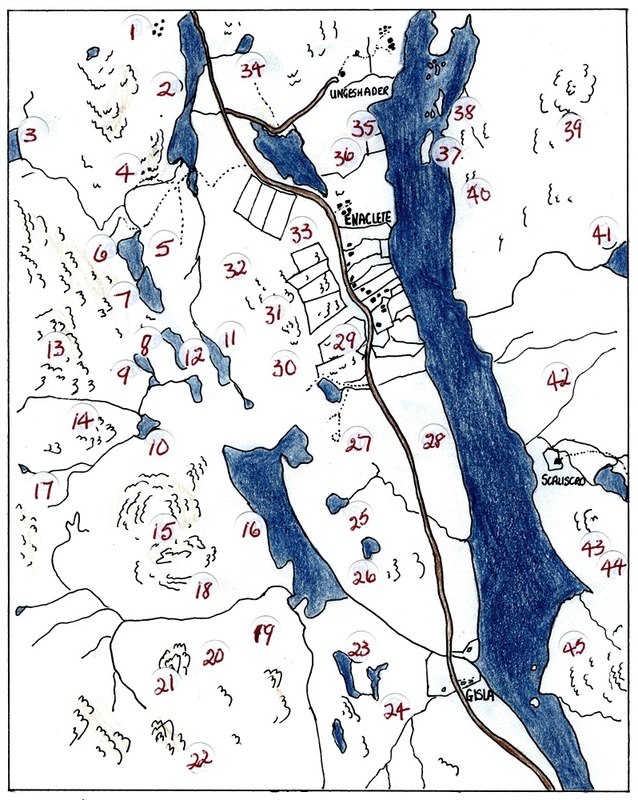 It would be interesting to compare it with the Norse township names of Uig shown in Magne Oftedal’s map of Lewis 1954. Sarah, the work you folks of Comann Eachdraidh Uig do is greatly appreciated.